83 South to Rt. 581 West then take Route 15 South, watch for Lisburn Rd. 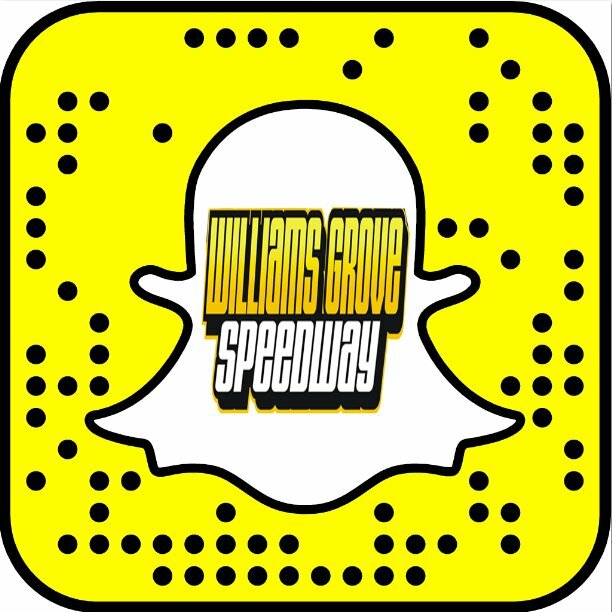 exit turn right, go straight through to next traffic light which is Williams Grove Rd, turn left 1/2 mile to pit/backstretch entrance. For frontstretch, go past pit entrance to Park Place, turn right 1/2 mile to track. Route 74 South to Williams Grove Rd at Exxon station. Left, approx. 2 miles. For front stretch, turn left on Park Place 1/2 mile. 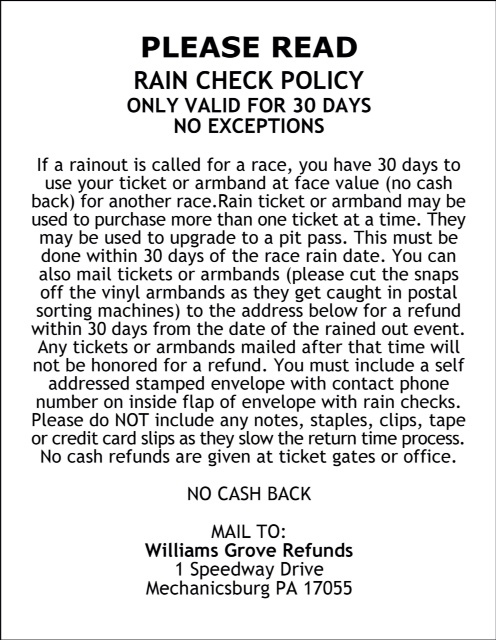 For pit/backstretch, continue on Williams Grove Rd to pit entrance on the left. 83 North to Rt. 581 West then take Route 15 South, watch for Lisburn Rd. 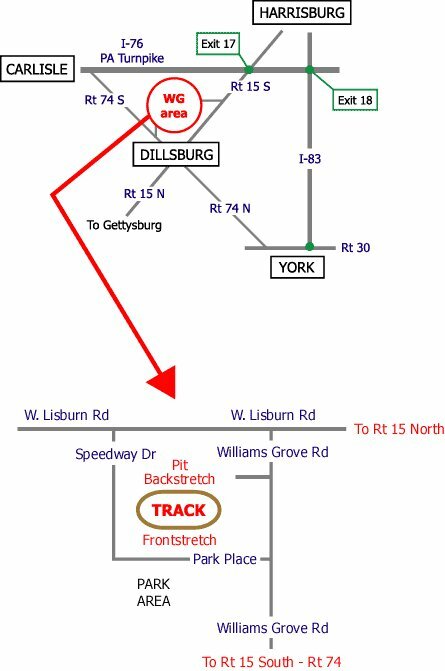 exit turn right, go straight through to next traffic light which is Williams Grove Rd, turn left 1/2 mile to pit/backstretch entrance. For frontstretch, go past pit entrance to Park Place, turn right 1/2 mile to track.